Be still my chintz-loving heart. 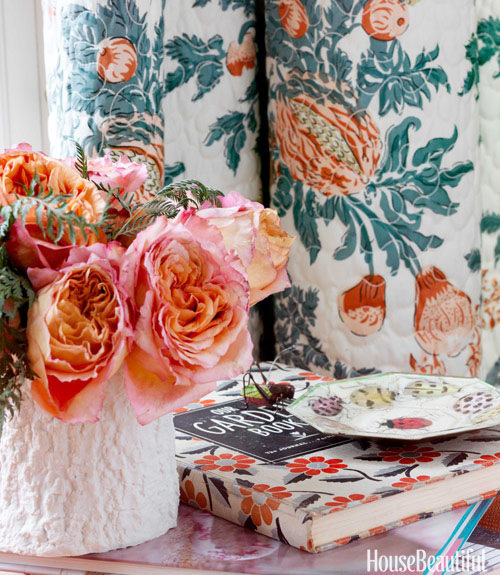 This peach and aloe green situation by Brunschwig & Fils on designer Connie Newberry's curtains is simply amazing. Love the eye treat created by this vignette. Note the bugs on the plate. Love it all. The bugs . . . fabulous!! !